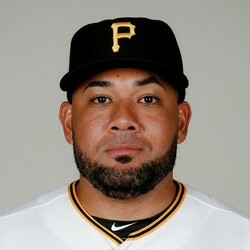 Cabrera is about as exciting as an un-toasted piece of plain white bread, but the Melk Man has delivered a .432 AVG in 38 PA for Pittsburgh so far. With injuries having decimated the Pirates' outfield, Cabrera could carve out a good amount of playing time in the short term. He's a good source of batting average, but won't provide much else.